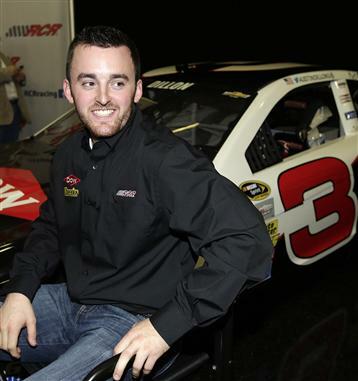 DAYTONA BEACH, Fla. (January 10, 2014) – Austin Dillon knows there will be pressure racing the No. 3 car made famous by the late Dale Earnhardt. Today, he just raised the stakes with his first test in that car at Daytona International Speedway. The Richard Childress Racing driver planted the historic No. 3 atop the speed charts on the first and only day of NASCAR Sprint Cup Series testing at the World Center of Racing. His 195.109 mph led all drivers in single-car runs during this tune-up for the 56th running of the Daytona 500 (Feb. 23, 1p.m. on FOX). A rainout Thursday raised the pressure on all drivers Friday, as teams made the most of a testing session that was reduced to a single 8-hour window. Two of the sport’s biggest stars turned their first Daytona laps with new teams, including past Daytona 500 winners Kevin Harvick and Ryan Newman. Harvick now drives the No. 4 Chevrolet for Stewart-Haas Racing, while Newman is behind the wheel of the No. 31 Chevrolet for Richard Childress Racing. Forty-one drivers turned laps in Gen-6 Chevrolets, Fords and Toyotas, which are entering their second year of NASCAR Sprint Cup Series competition. Those cars featured a new 4.5-inch spoiler, designed to add more rear downforce for stability. Results were positive. Thirty-three cars topped 190 mph and the new aero package performed well in traffic, which was tested in the draft during the final hour of testing. Pemberton was pleased with what he saw from all of Friday’s drivers, including retired NASCAR Hall of Famer Rusty Wallace. The man who drove Team Penske to NASCAR prominence donned a throwback Miller Lite fire suit and turned laps in Brad Keselowski’s No. 2 Ford. NASCAR Preseason Thunder testing at Daytona continues for four more days, as the NASCAR Nationwide Series’ top drivers take to the track Saturday and Sunday. NASCAR Camping World Truck Series drivers will test Monday and Tuesday. Testing sessions for all four remaining days are scheduled to begin at 9 a.m. The top five speeds from Friday were posted by Dillon, Brian Scott in the No. 33 Chevrolet (194.582 mph), Matt Crafton in the No. 27 Chevrolet (194.342 mph), Aric Almirola in the No. 43 Ford (193.828 mph) and Kyle Larson in the No. 42 Chevrolet (193.411 mph). Six-time and reigning NASCAR Sprint Cup Series champion Jimmie Johnson was 11th on the charts, with a fast lap of 193.021 mph.